Well, you publish a great idea. Yet no one gives a damn. You scream out, why? With the countless blog posts published everyday, your piece is nowhere! In order to give a good identity for your sweat, you need to improve yourself in the areas where others are missing. Editing and proofreading are some of the most overlooked areas in blogging; that’s an opportunity for you. Most of the bloggers skip out editing in their blogging process. If you properly edit every article of yours, then you’ll definitely stand out of the rest. Your posts should be easier to read and glide through. I mean, I’m asking you to leverage the unique-smart-simple tips, that you may have never heard of. If you are editing your blog posts on any online editors like WordPress visual editor. 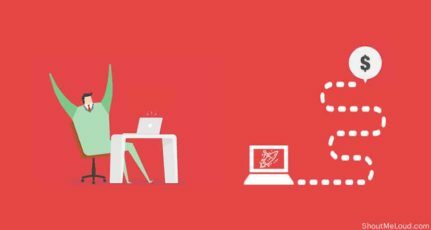 If you are editing your blog posts on any online editors like WordPress visual editor, Google Docs or any others; Grammarly Chrome extension comes handy. Along with the great spell and grammar checking features, it has one great feature. While editing, you may find yourself stuck in finding that perfect word replacement for a weak or ineffective word. No worries. Just double click on the word. Grammarly pulls out the possible synonyms for the selected word. All you need to do is now just click on the ideal word that suits the context. With perfect word choices, you can easily resonate with your audience. By making the correct word choice, you ensure that you mean what you want to mean. Vary the lengths of the sentences. By doing this, you are easing out your readers in gliding through your blog post. Sentences with the same length seem boring and irritating to read. 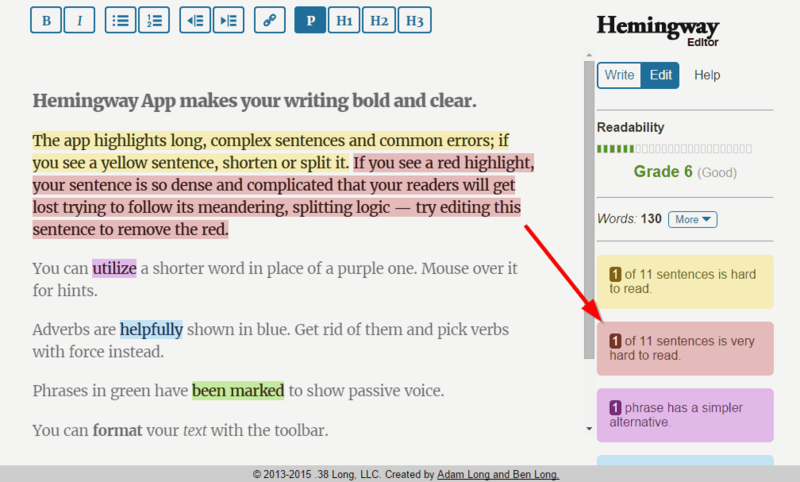 Hemingway Editor is the online tool that comes handy in the process. It marks the very long sentences, and possibly hard to read sentences. Then you can analyze how to shorten or simplify those sentences in your blog post. As you can see the above screenshot, the tool highlights very hard to read complex sentences in red color. You should consider shortening it. If the sentence is highlighted in yellow color, you need to reconsider it. Don’t overuse any single word or phrase. Instead, use variants. For this, you need to know what are all the words that are overused in your content. This tool from WriteWords presents you the frequency of the words you have used in your content in descending order. It also has a phrase frequency checker that presents you frequency of phrases in your content. There’s an option to specify how many words a phrase should contain. 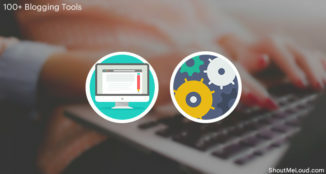 Using this tool, determine the phrases that are overused in your content. Try a unique way of presenting what you got. Use alternative words or phrases instead of repeating stuff. Most of the newbies end up using same words and phrases over and over again. Through practice, you should get rid of this habit. Don’t try to make weak words stronger. Instead, use strong words or phrases. I am very hungry – I am starving. He was very frightened – He was like a rabbit caught in headlights. He is a great fool – He is a blockhead. Minimize the use of words like very, great, and others to intensify the meaning of weak words. Make use of strong words. 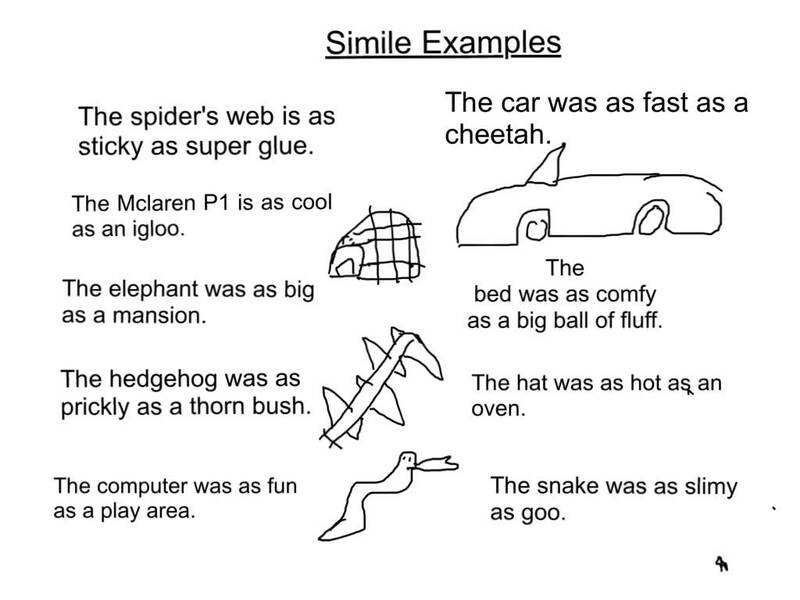 If you are trying to express any emotions, state, try to use similes. Compare it to any real world objects, animals, which are obvious. I often see people struggling hard to convey an emotion. I advise you to make use of beautiful similes. Similes make the process of expressing complex emotions, experiences way easier. For finding similes, you could use Google search. Just search for “similes for frightened“. You will be presented with all the similes that represent the frightened situation, with a quick search. Singers while writing lyrics for their songs, make good use similes to mean more in few words. Don’t edit or proofread immediately after writing your draft. When the topic is fresh in your mind, you tend to not proofread your content on the shoes of your readers, your brain automatically corrects your mistakes. You are likely to skip structural errors. I advise you prepare your final draft ready a day before publishing. On the day of publishing, edit your content in the eyes of the readers, preferably in the backward direction. This little hack helps you find out grammatical errors and clichés in your content more effectively. Use the power of Google. If you find yourself hard to find a word to complete the phrase or a sentence, make use of Google search. 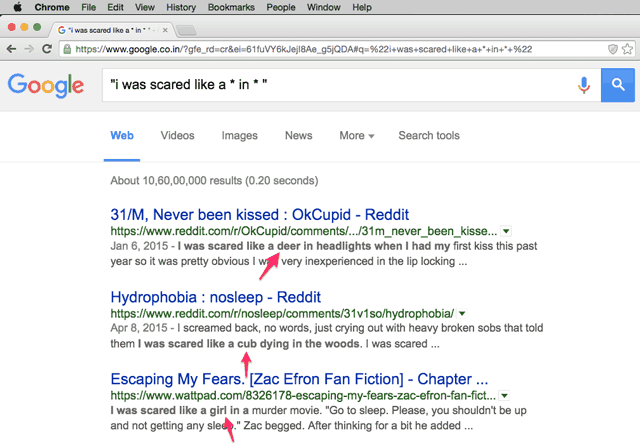 Place asterisk in the place of the unknown word, enclose it between “double quotes”, and hit search. In the search results, the completed sentences are marked in bold. Notice the screenshot you’ll get an idea. While editing by changing the font of your content, you likely catch more errors. The font should be different from that what you used while writing. Some even suggest printing out the final draft to mark errors on paper. I’m not a big fan of it. Have not tried it either. Most of the bloggers publish articles one over the other and sit quite. By this, they are missing an opportunity to drive good traffic to their site. Old content should be refurbished, updated with relevant content and proofread. Harsh spend, 1-2 hours daily to work on old posts and make them better. He discussed this in his blog post on Panda update. Google sees fresh content as of high-quality. After updating your old posts, make sure you proofread it. 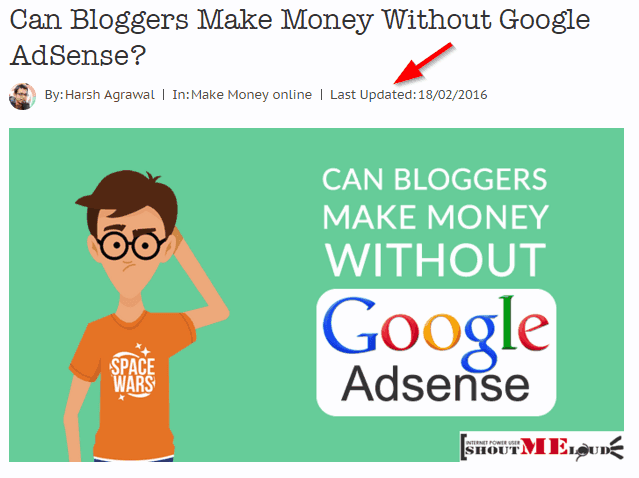 I also recommend you to alter the “last updated date” on your post, to avail SEO benefit. Always proofread in a quiet place; no music, no talks. This is essentially important. Because while proofreading you need to analyze your content in all aspects. It may be difficult for you remember all the techniques to use while editing your content. So prepare a checklist of editing points. Refer to it. It minimizes the work to your brain when editing next time. Remember that editing while writing can be a great blunder. It kills your productivity as well as the quality of your post. Next time, don’t ever publish a post without proper editing. If you readers have any smart editing tips in your arsenal, do share them in comments. This guest post is contributed by Akshay. You can read here about contributing for ShoutMeLoud community. I'm a passionate professional blogger at GoBloggingTips.com. 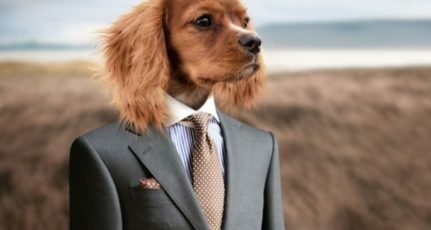 I believe in unique blogging and SEO strategies. 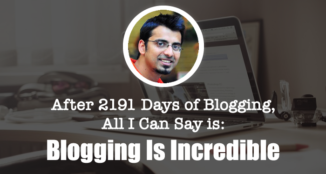 I blog about blogging, SEO and traffic generation. Akshay, it was so interesting for me to read your post! I’m using Hemingway App as well, and I want to claim that this tool is useful for all people who love long and wordy sentences (as I am :)) Besides, I found another interesting tool – Unplag. It’s an online plagiarism checker, which could find similarities in your blog post less than in a minute (the best result I’ve ever found). Actually to write a blog a post is only a half of the work. To edit it properly, to find appropriate images/video/Gify GIFs is the other part of the blogger’s work and sometimes it could be really time-consuming. Fortunately, editing tools help to save your time. I really can’t thank you enough for that Google search hack! It’s gonna be very useful for a person like me who doesn’t has the ability of making good word choice. It was interesting post and equally useful too! Write a post and give it the second and third reading but the tools you mention are really worthy. Grammarly and Hemingway are the ones that attracted me immediately. It makes the work even easier. Very nice and thoughtful post Akshay. Tips you’ve given will certainly help me improve the quality and readability of my posts. 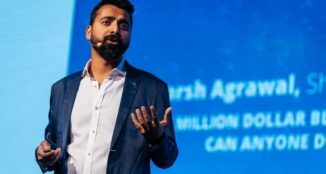 Hey, Harsh and Akshay – thanks for a great set of editing tips for blog authors. I just now added Grammarly ext for Chrome. I’m a serious writer. Another idea is to TRUST your fast writing flow… It comes out as easy to read. Visualize a scene, or a point and write as fast as you CAN. Faster writing conveys flow, in easy, short sentences. Vivid word pictures. Colours and images galore. Thanks for a shining blog, guys! I have been using Grammarly and I am pretty much impressed with that. It makes my writing error free. Thank you very much for sharing tips, Akshay. This information is VERY useful to me, because I recently started working as helping editor for the blog dedicated to writing and plagiarism (you can check it here if you’re interested: blog.noplag.com), and there is so much new for me in this job. There are so many tools and advises on the Web that promise to make everything easier that it all mixed up in my head. So good to find post that puts everything in order. 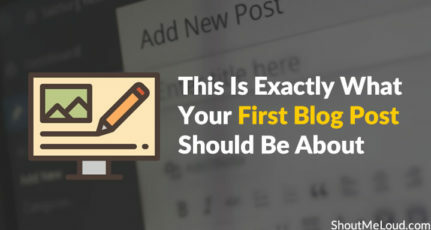 Thanks, Akshay for sharing some great blog post editing tips it’s really helpful for my blog.